As regular readers of my blog will know, a large proportion of my photography focuses on marine landscapes, with my current personal project all about the interactions between People & the Sea (check out the gallery here!). 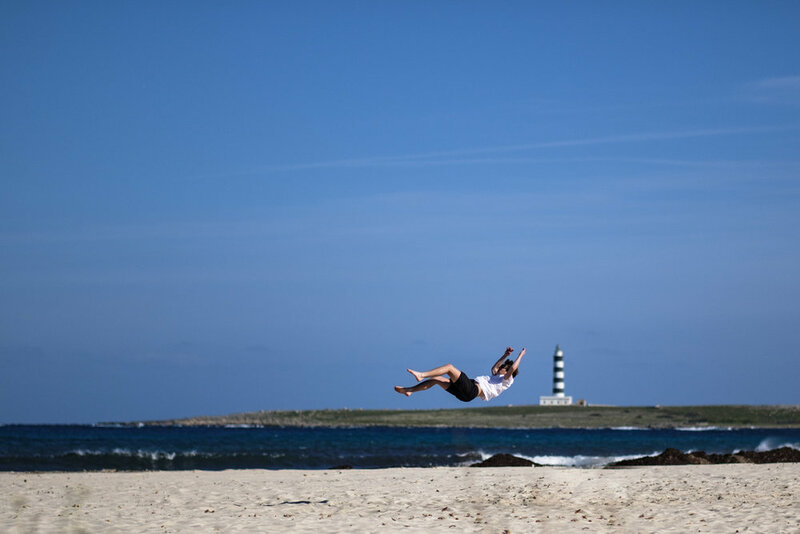 A few months ago when I was researching an upcoming trip to Menorca, I spotted several shots of the island’s many lighthouses and as these prominent structures provide a very dramatic, physical reminder of our turbulent relationship with the sea, I had to add all seven of these to my photography hit list. 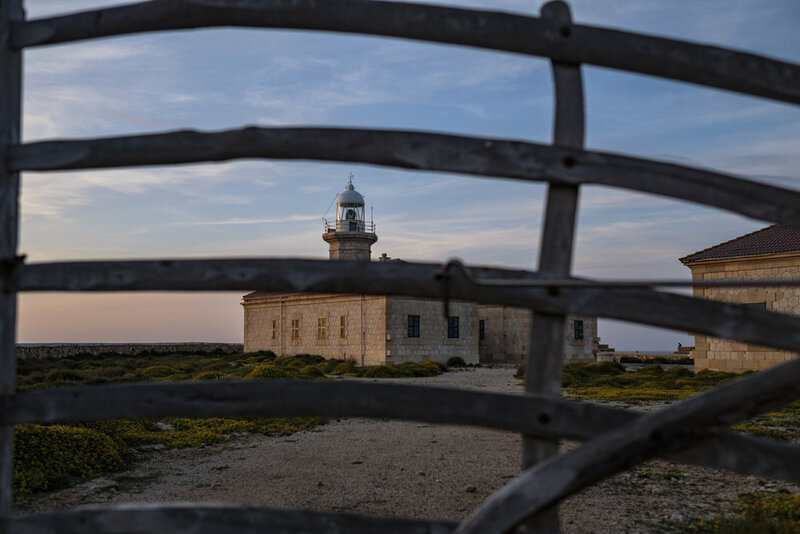 Whilst on the island I travelled all along the coastline to try and capture a sense of the ancient relationship between the Menorcan people and the sea. Some of my favourite sites for photography included the Talaiotic necropolis facing the open water, the ruins of a Roman military port, and the sleek super yachts now moored in the modern harbours. Although the island is only approximately 56 km long I still managed to rack up about 600 km of driving during the week (despite one punctured tyre) but the time spent travelling was well rewarded by the stunning scenery. 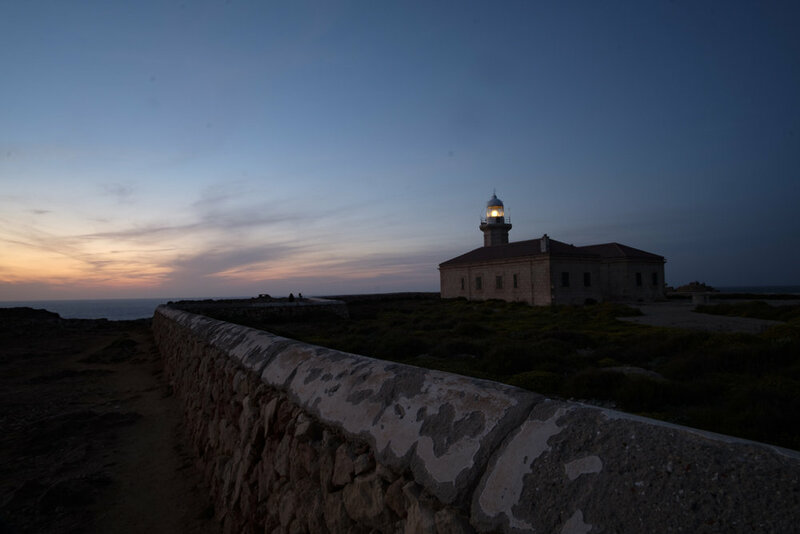 There are seven lighthouses currently recorded on the island, although the San Carlos lighthouse located in the port of Maó was torn down in 1917 as it obstructed a nearby gun emplacement and was replaced by a more functional but distinctly less aesthetic 10 m concrete light beacon. 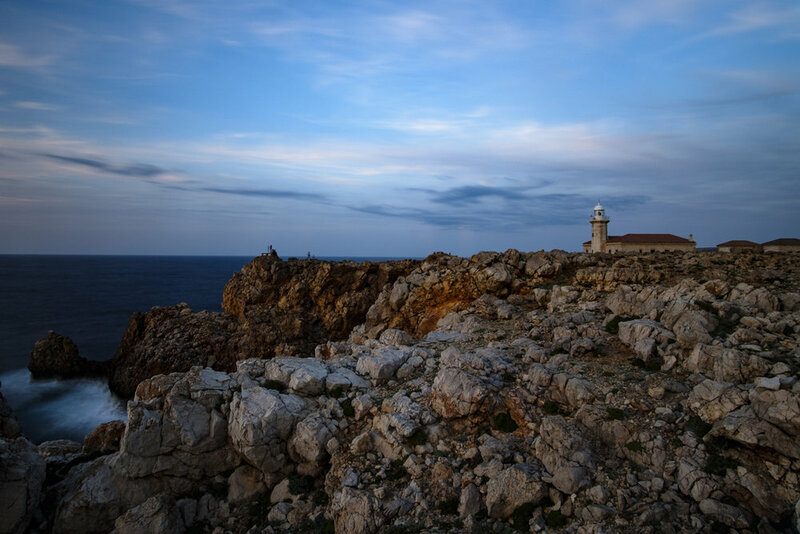 The other six lighthouses (clockwise from north west) are located at Punta Nati, Cavalleria, Faváritx, Illa de l’Aire, Artrutx and Sa Farola. All of the sites were fairly accessible (hopefully your hire care can cope with a few bumps!) and the sunsets were particularly impressive at Punta Nati and Artrutx, where I also took advantage of the amazing evening light to take some environmental portraits of my fiancée. 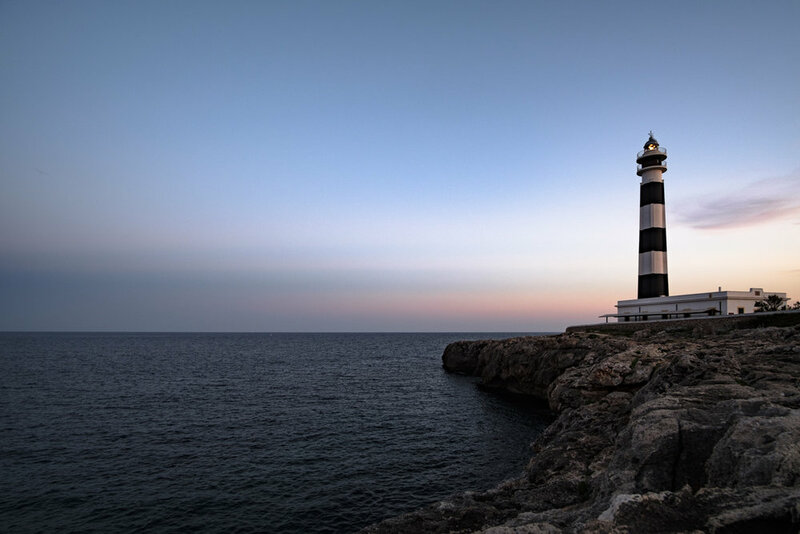 Exploring and photographing the lighthouses became a real highlight of my trip to Menorca that I would heartily recommend, and as these are dispersed all around the island, it was simple to use them as landmarks to guide my travels each day as I explored new regions. I hope you enjoy the photographs below and as always I really appreciate any comments or thoughts so please get in touch by email at lawrence@eaglingphotography.co.uk, Instagram @lawrence_eagling or twitter @LawrenceEagling.